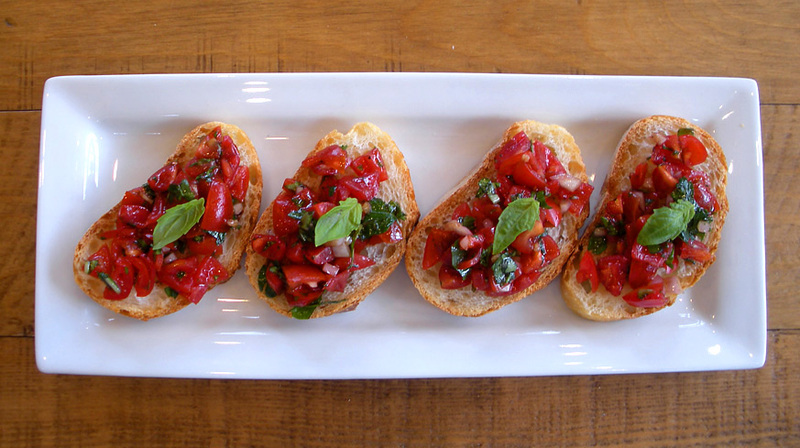 Bruschetta is a great way to start a meal that’s sure to please vegans and non-vegans alike. If you’re having guests over, you can make the topping a day ahead of time and keep it in the fridge. In fact, I find that the flavors of this dish mellow after a day or two and it tastes even better, so you will still be able to enjoy it the day after the party– if there’s any left. 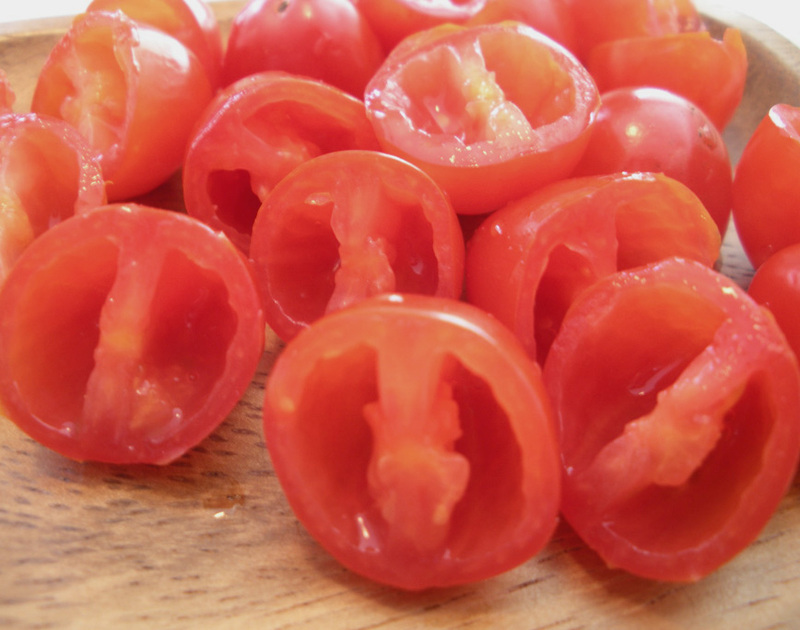 Slice the tomatoes in half and scoop out the juicy, seedy inside with a grapefruit spoon. 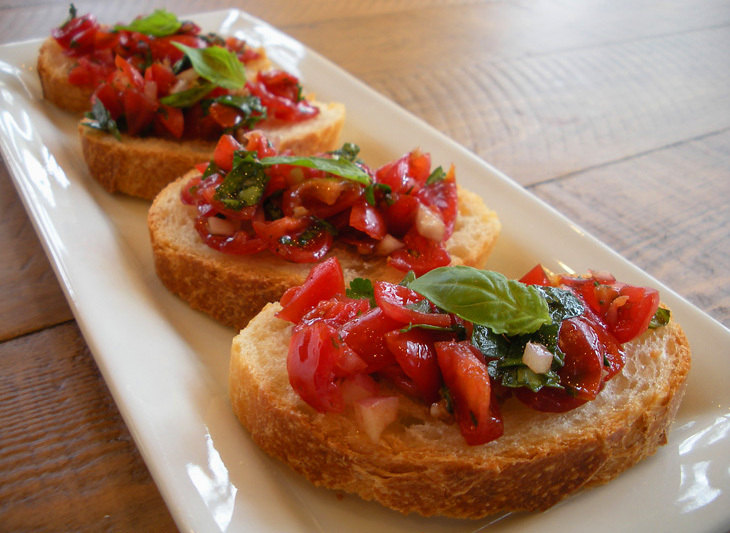 You don’t have to worry about getting every last seed, but you want to get rid of most of the juice so that your bruschetta won’t be too soggy. When your tomatoes are mostly juice-free, chop them smaller. 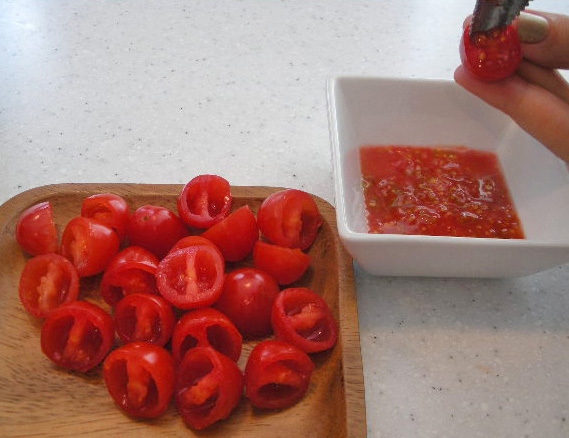 Combine the chopped tomatoes with the rest of the ingredients in a bowl. 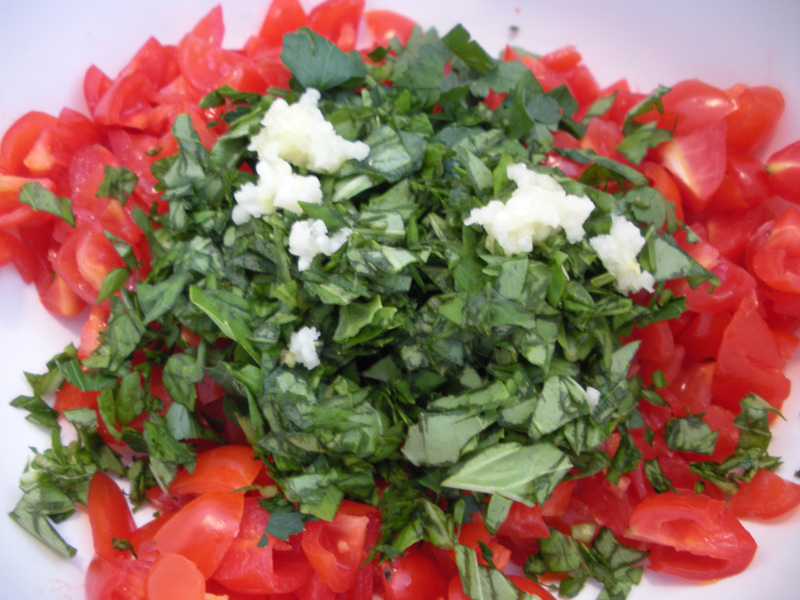 Serve atop sliced baguette and garnish with fresh basil leaves, if desired. This nonvegan loves bruschetta. So simple and always a classic.